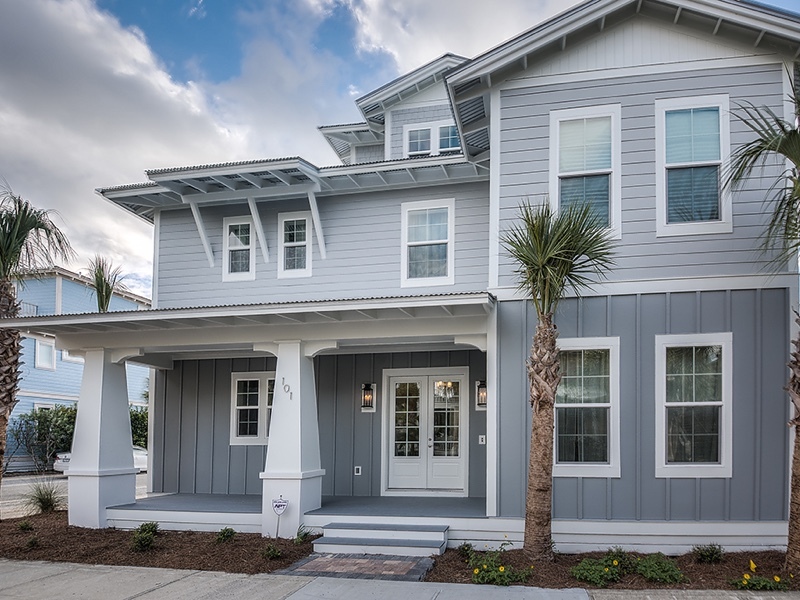 Welcome to 30A Daze, a gorgeous newly constructed five bedroom home nestled in the friendly, down-home community of Seacrest Beach. This professionally decorated property boasts luxurious furnishings such as TempurPedic mattresses, an outdoor kitchen with a flat screen television, living rooms on each level of the home and an entertainment room with Xbox One, Apple TV and 70″ flatscreen. Conveniently located across from the Seacrest Beach Lagoon Pool and just a quick walk to the acclaimed beaches of scenic Highway 30A, 30A Daze is an ideal sanctuary for those looking for a time of relaxation and indulgence in paradise. Decorated in the calming colors found along our beaches – refreshing shades of blue, gray and neutral – this home is a comforting oasis for the weary traveler. Whether visiting with your family or a group of friends, 30A Daze is suitable to accommodate a variety of guests. Two master bedrooms located on separate floors of the home are ideal for couples traveling together, while the bunk room and two additional guest rooms are perfect for a family with young or adult children. Two kitchens, one indoor and one outdoor, provide plenty of space for you to entertain guests or take in a picturesque view while making a delicious home-cooked meal. Retreat to one of the three living areas for some quiet time to read a book or kick back and watch a movie with the family. The possibilities to escape everyday life are limitless. If your ultimate goal is to treat yourself and your loved ones with the gift of luxury and tranquility in the heart of Florida’s flagship beaches, you’ll find just that in 30A Daze.